Christopher Houston “Kit” Carson was born near Richmond, Kentucky, and grew up in Missouri. At 16, he joined a Santa Fe trading caravan and from 1827 to 1842 lived in the Rockies as a fur trapper and mountain man. In 1842, he served as a military guide in Oregon and California and, during the Mexican War, was a courier. After the war, Carson settled in Taos, New Mexico, where he served from 1853 to 1861 as Indian agent to the Utes. 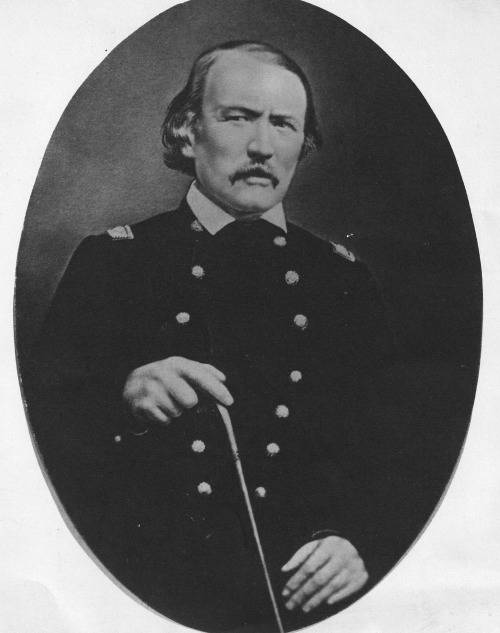 With the outbreak of the Civil War, Carson became colonel of the First New Mexico Volunteer Cavalry and fought Confederates as well as Apaches and Navajos. Earning a national reputation as an Indian fighter, Carson was nevertheless an impassioned advocate for the rights of Native Americans.